The fifth album from Yellow Cap promises 'PLEASURE' without restraint. A lot of things have happened since the release of their last album "Like It or Not'', which have inspired the band and given them new ideas. A line-up change on the saxophone, many concerts and festivals throughout Europe - and even a tour in Brazil. The campaign "www.pfand" (putting returnable bottles aside of waste baskets) was supported with a song on the subject and has found its way onto the new album as a bonus track. 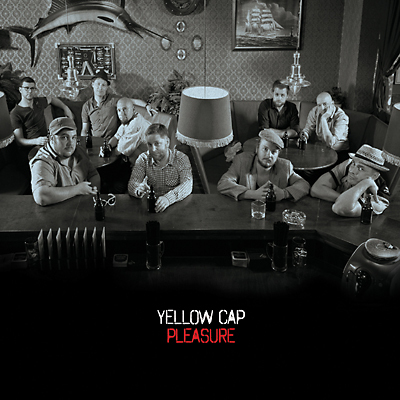 On their PLEASURE album, you will find that Yellow Cap has come up with far more than their good-humoured and party compatible uptempo songs in a Busters / Toaster style this time. With 'Gabriela', we have a great trad ska smash hit which you can find in two different versions on the album - the regular one in English as well as a bonus track with portuguese lyrics (a hint of Brazil here!). But you will also find the beautiful soul track 'No Money Man' with smacking Hammond organ sound, a bit of Latin Ska and also two songs sung in German. And last but not least, the relaxed 'Take A Cab' with a wonderful vocal part of our divine Dr. Ring Ding who also blessed the final production of the album with his healing hands. Like their last album, PLEASURE will come up in a noble digipak with a booklet where you can browse all the lyrics.